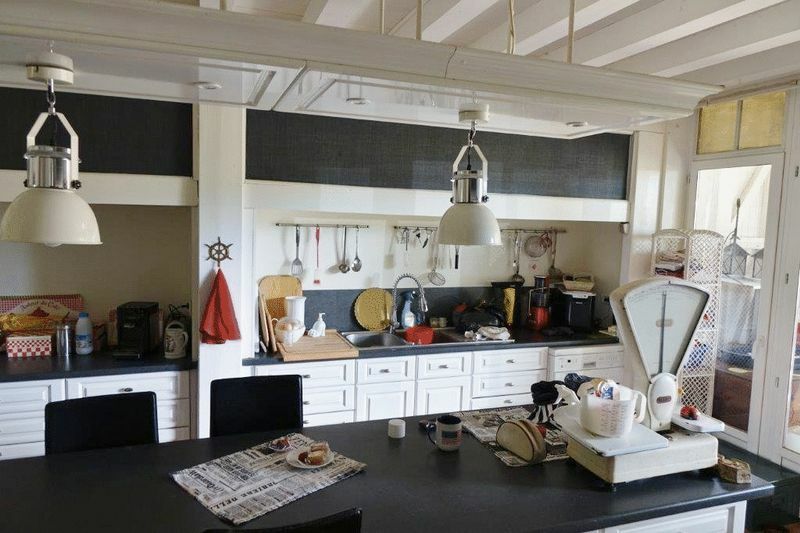 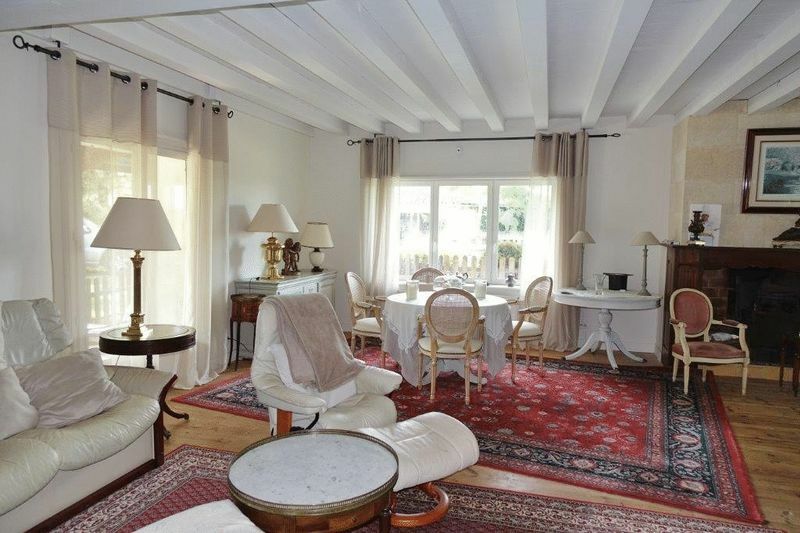 CHF16380 - Exceptional location ! 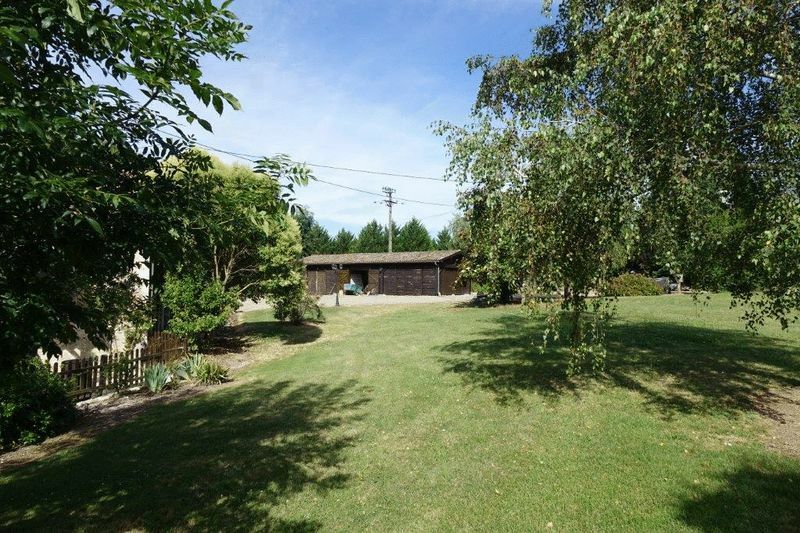 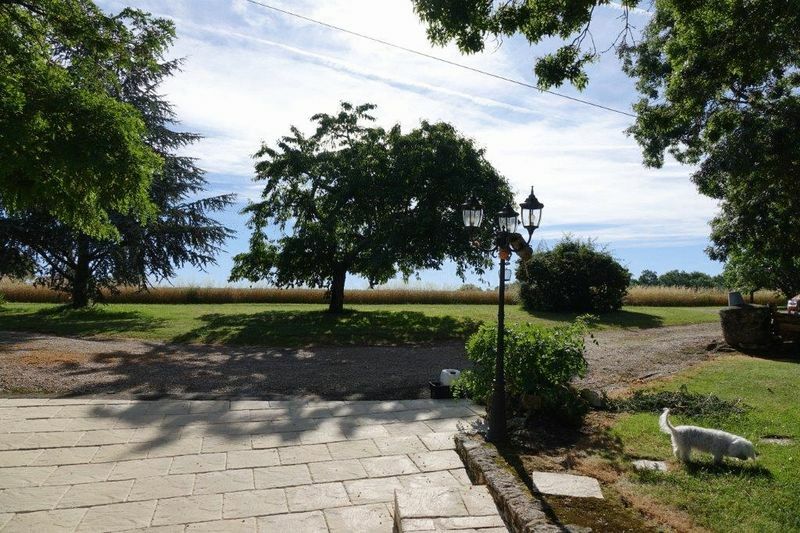 Superb property with 4 Bedroom Main house, all with en suite bathrooms, and an adjoining 3 Bedroom GITE, all with en suite bathrooms, TWO Swimming Pools, Summer Kitchen, Spa, a large Barn and triple Garage, set in 2.15 Acres of land, benefiting from beautiful views of the surrounding countryside and vineyards. 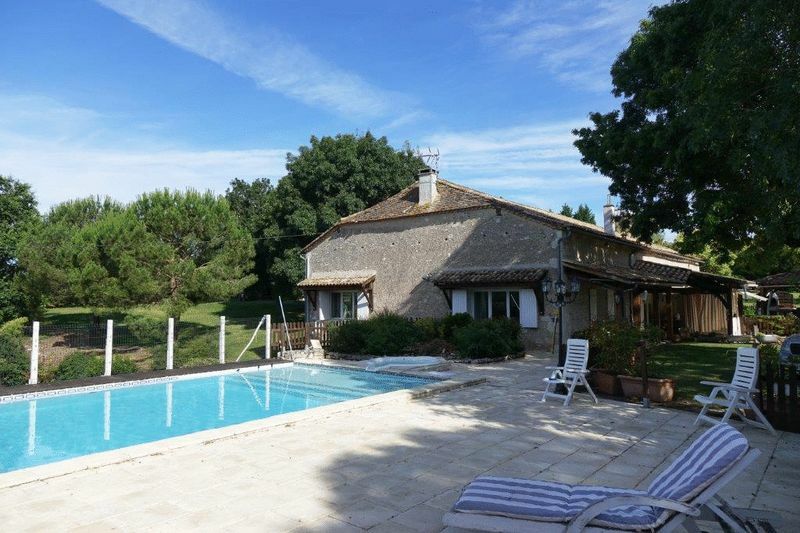 Not far from the well known Vigiers Golf course. 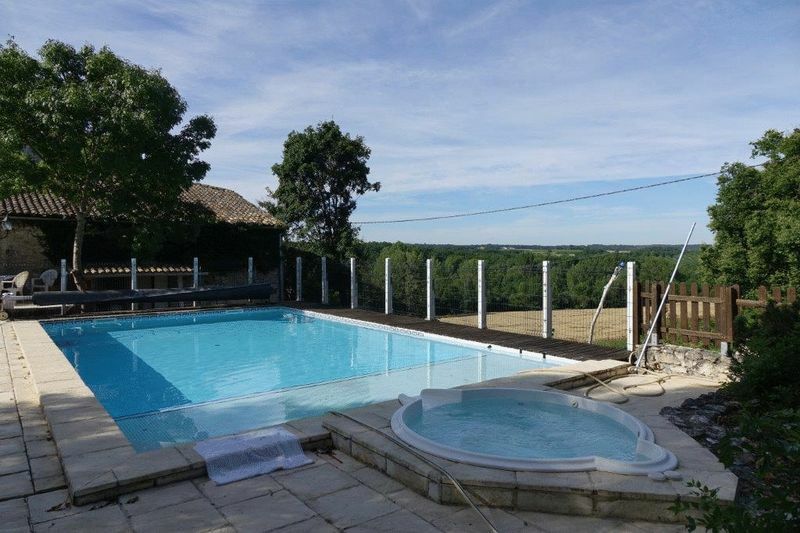 South of Bergerac. 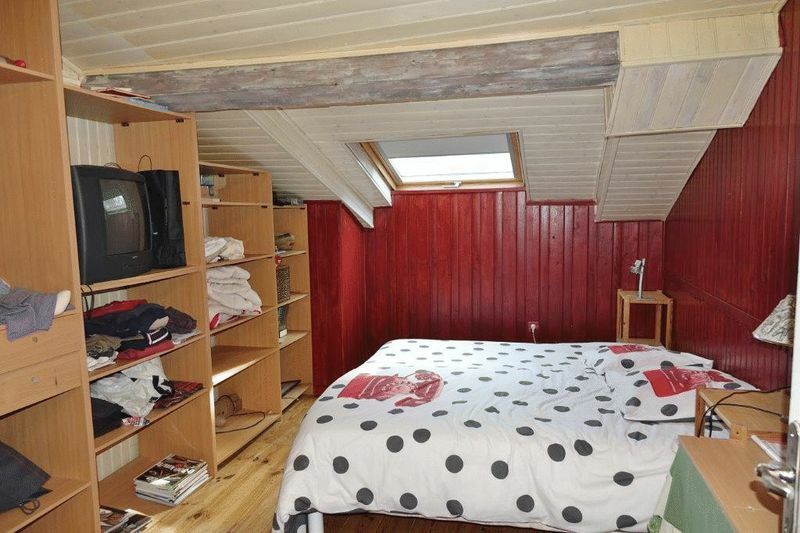 Vast Bedroom (42 m²) with en suite Bathroom with WC. 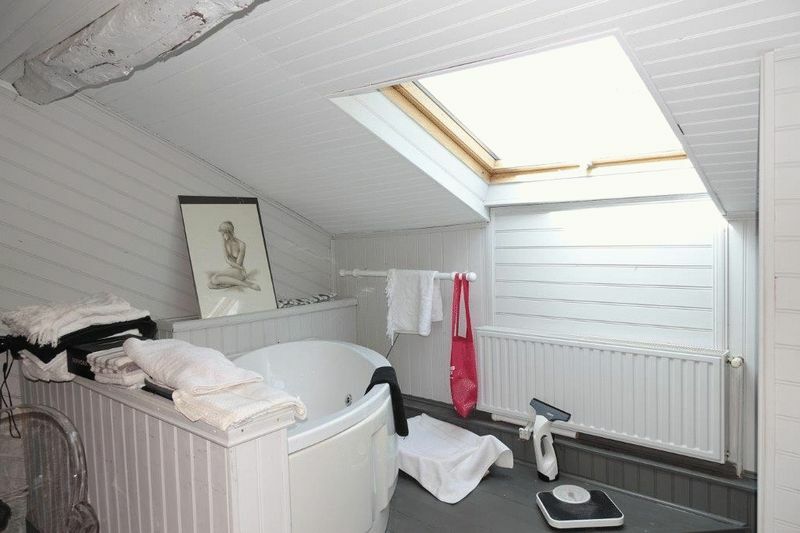 4th spacious double Bedroom (21.5 m²) with en suite Shower and WC. 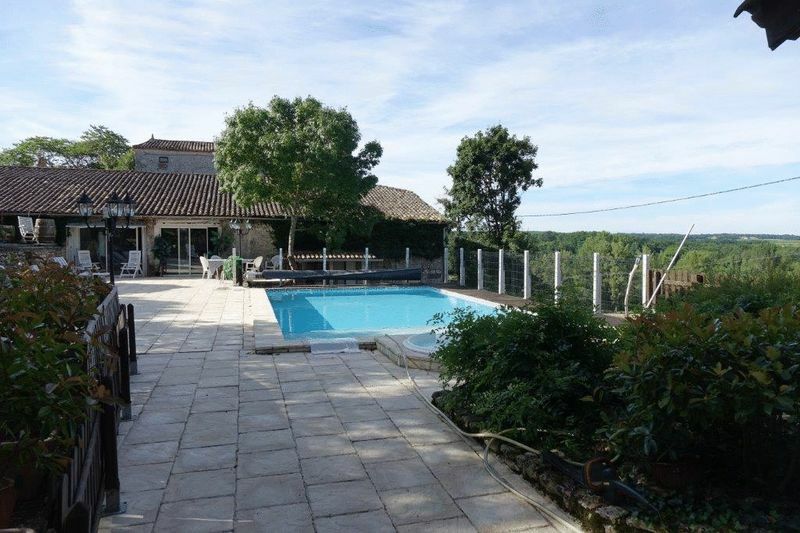 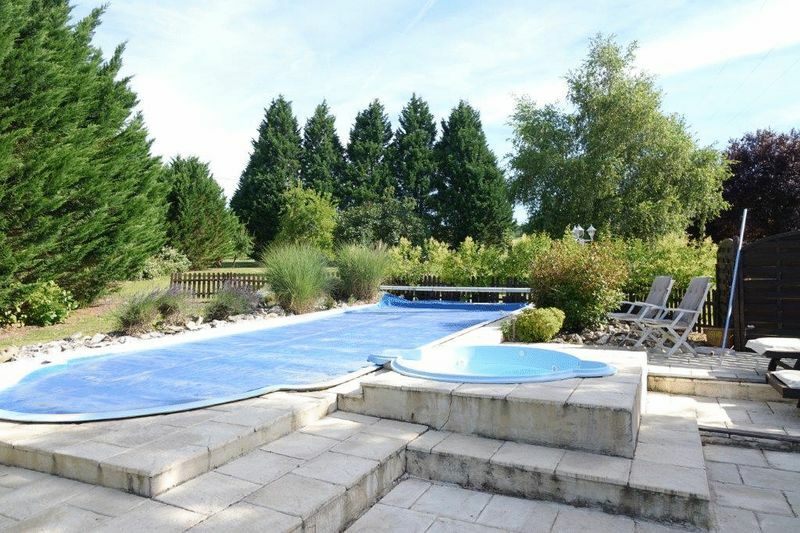 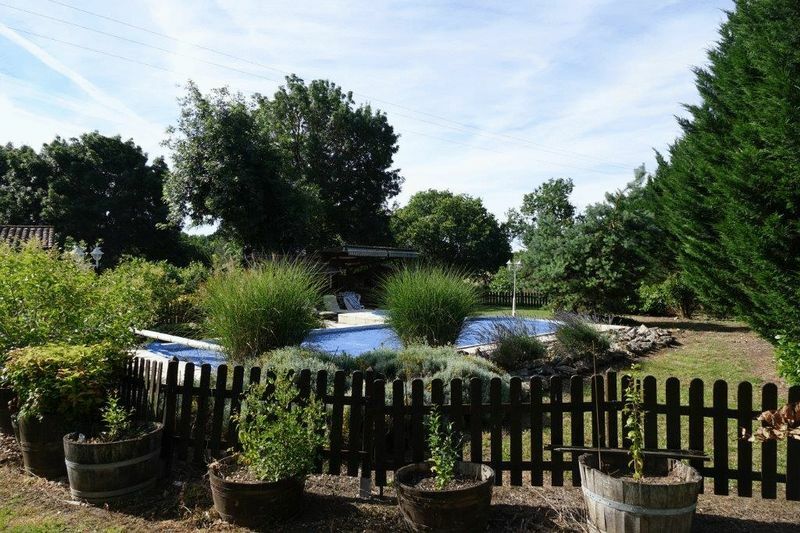 Private Swimming Pool (10 m x 5.5 m) fully tiled with Terrace around and beautiful views over the valley and countryside. 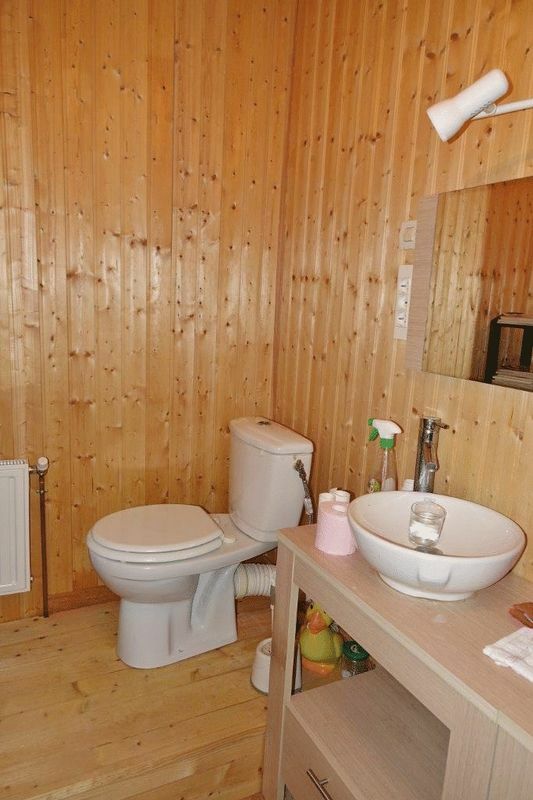 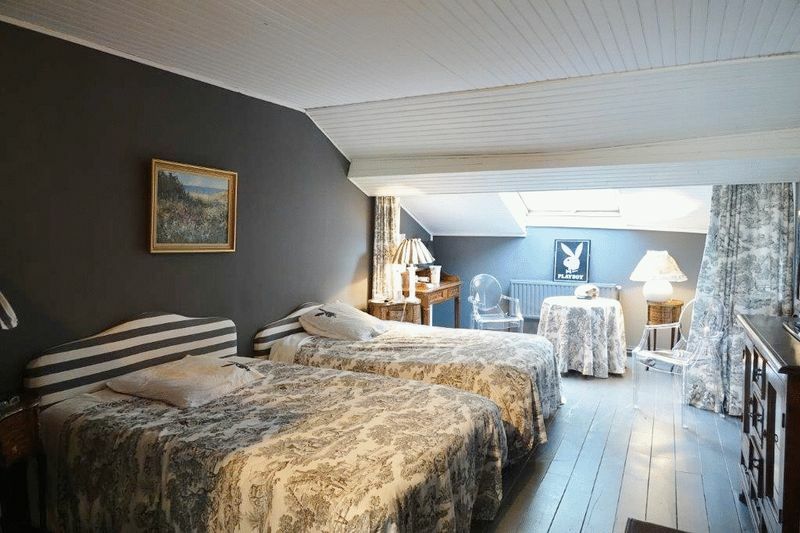 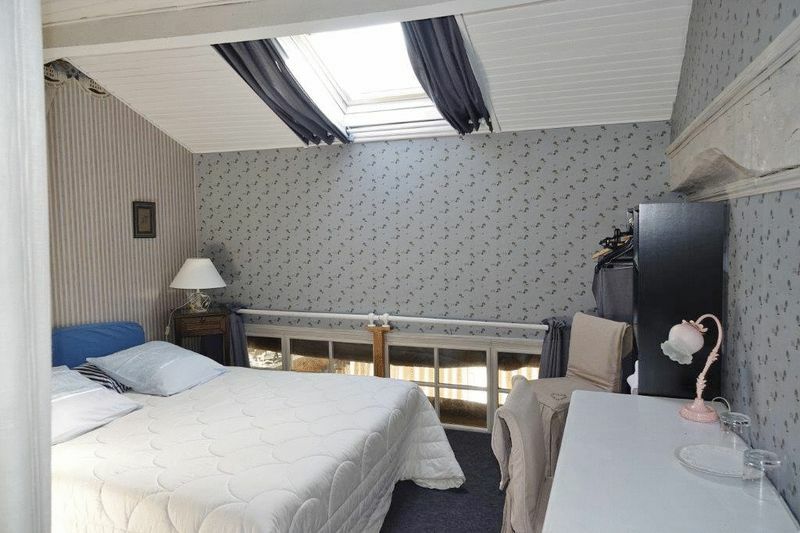 Large Bedroom (40 m²) with en suite Bathroom/WC. 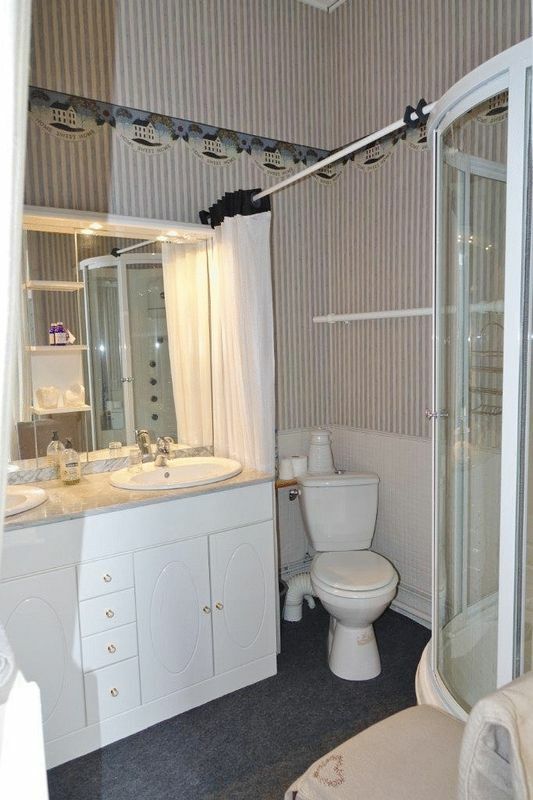 2nd spacious double Bedroom (24 m²) with en suite Shower room /WC. 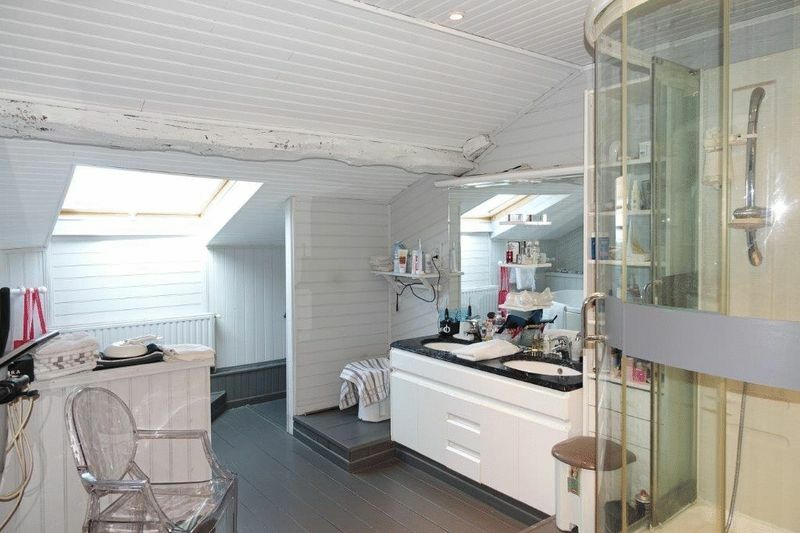 3rd double Bedroom (17.4 m²) with en suite Shower room/WC. 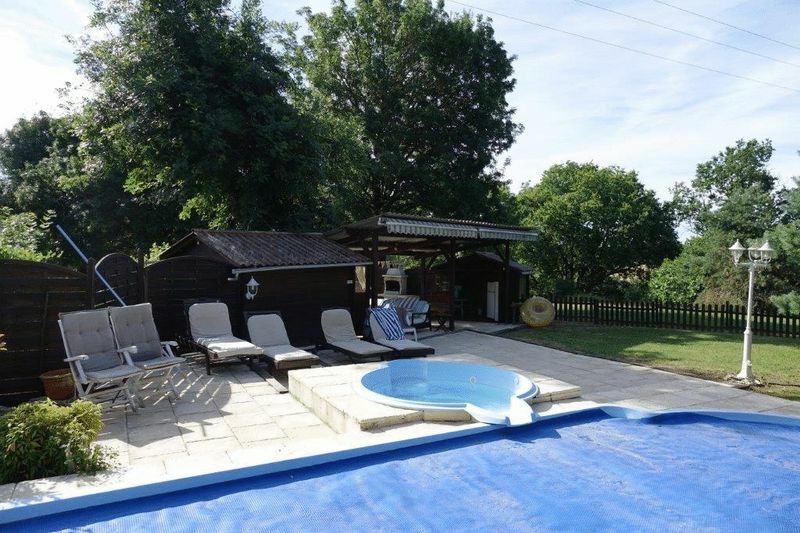 Private Swimming Pool (11 m x 4 m) has a lovely wooden decking surround, a Summer Kitchen, a Spa and Pool house. 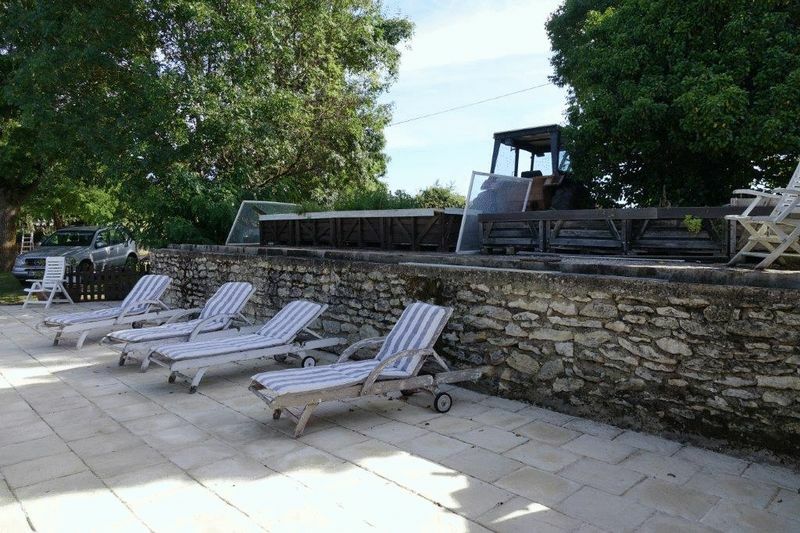 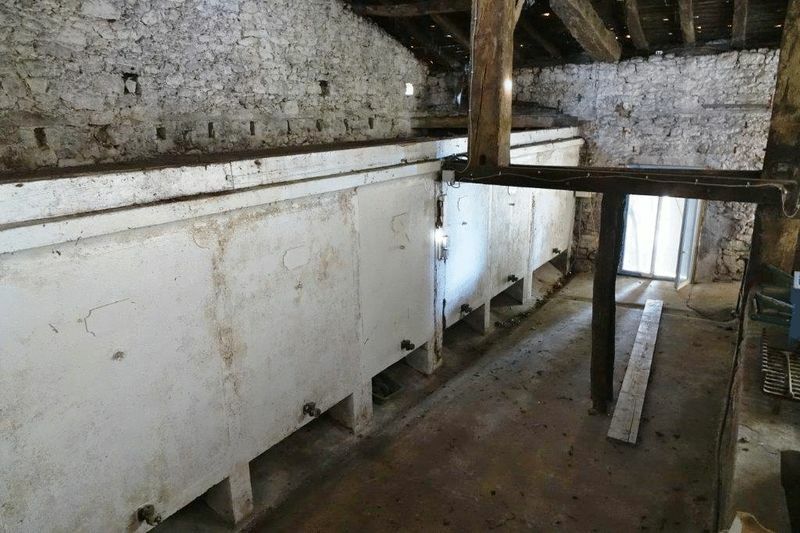 A large stone Barn with wine tanks (170 m²), this barn is situated near the largest Swimming pool. 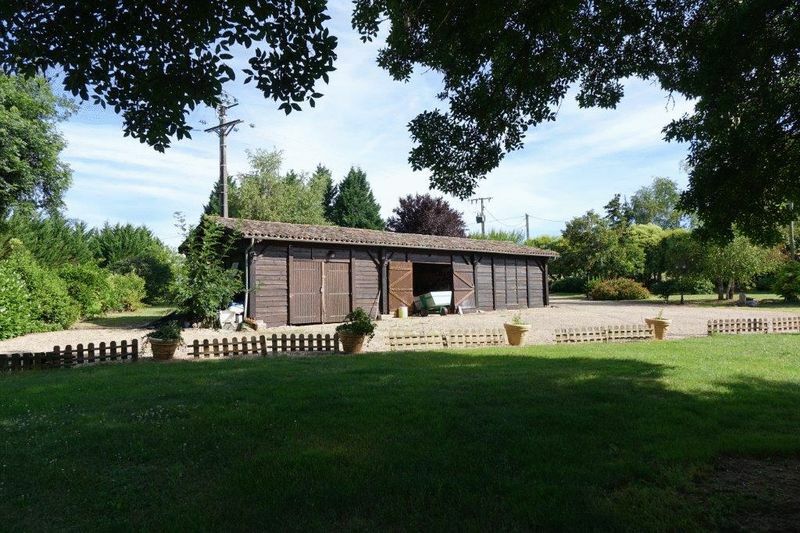 A (triple) Garage (80 m²) wooden structure, concrete floor, corrugated roof. 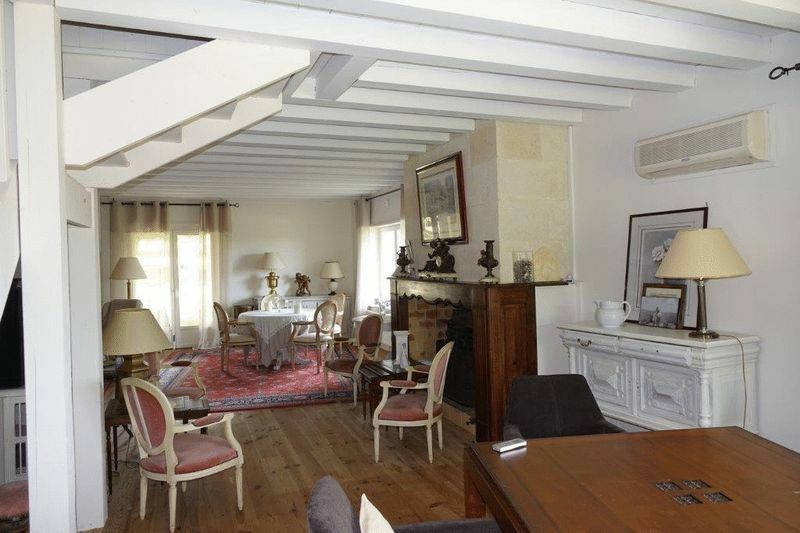 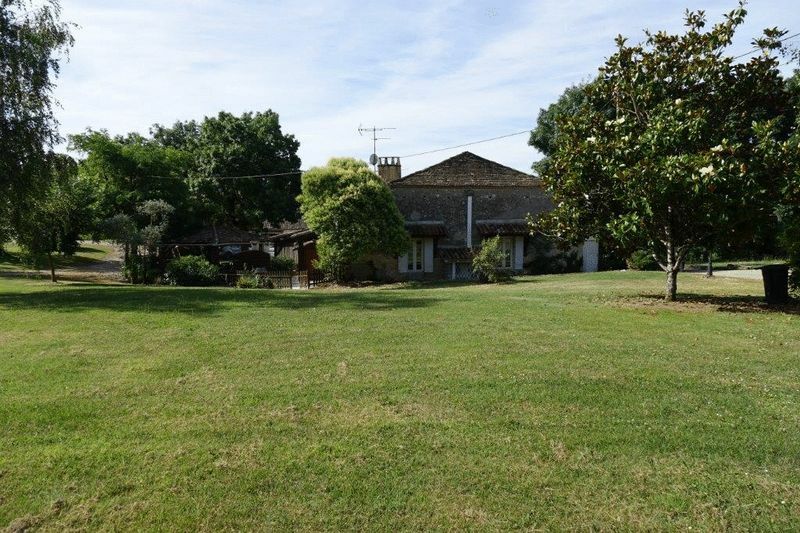 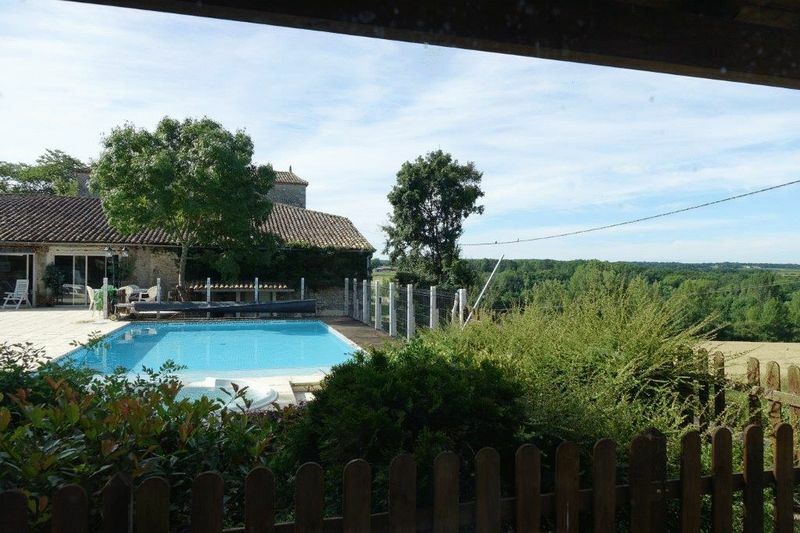 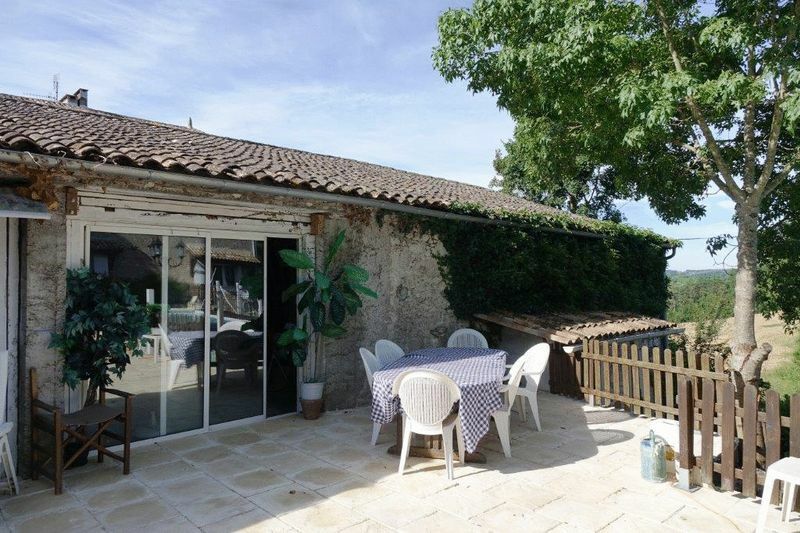 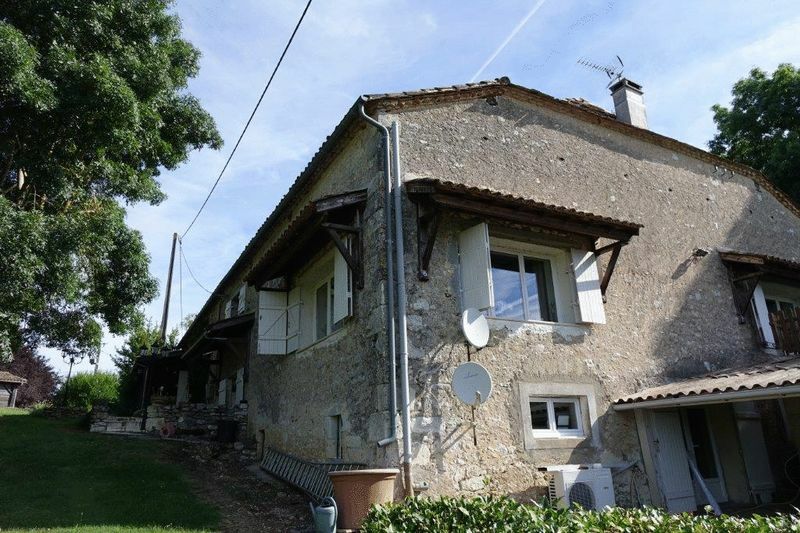 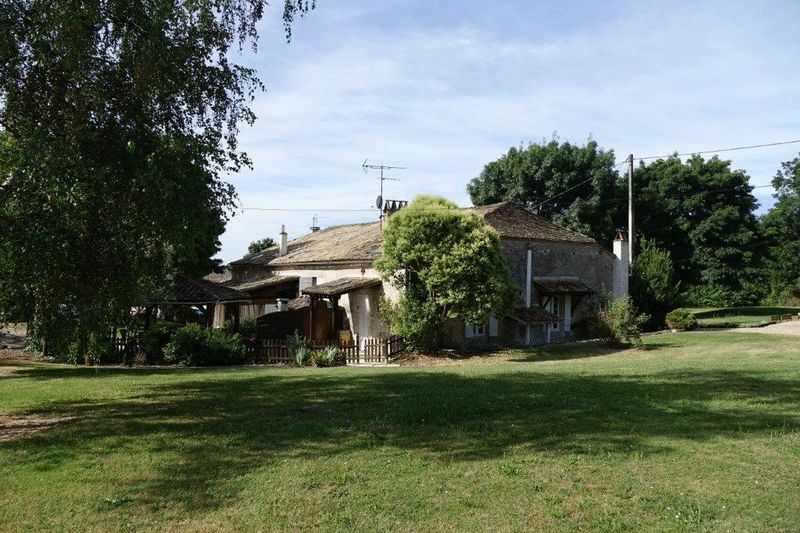 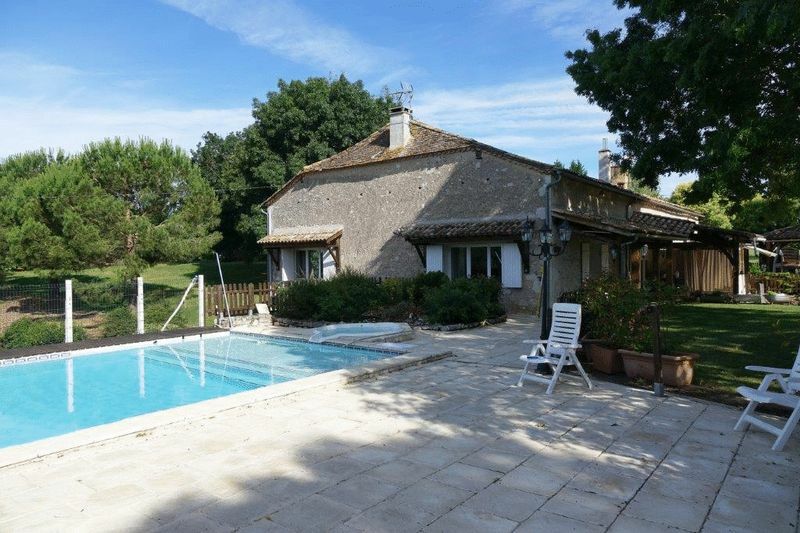 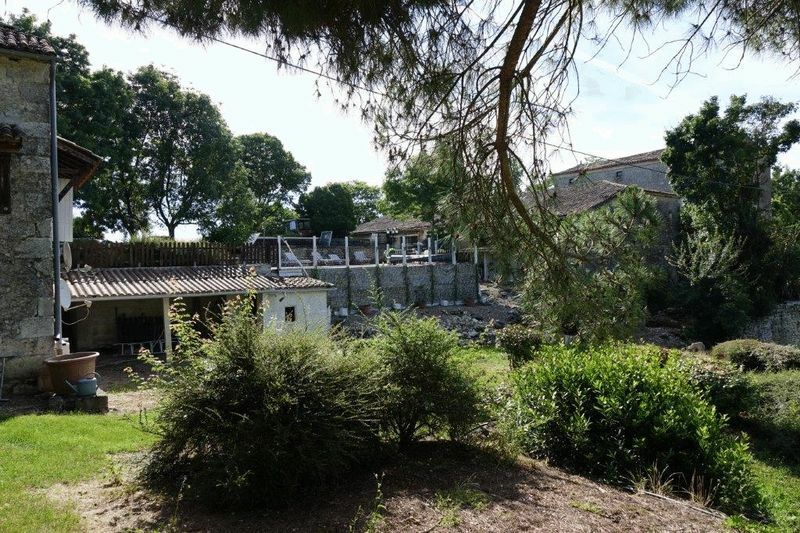 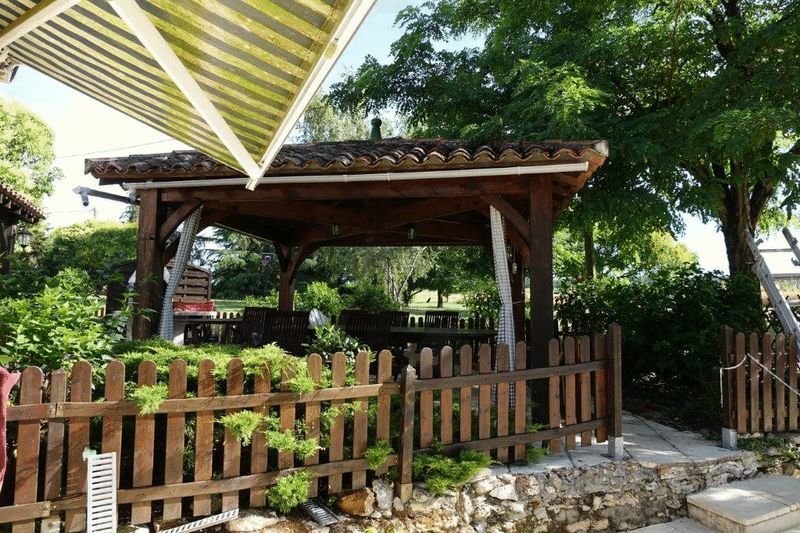 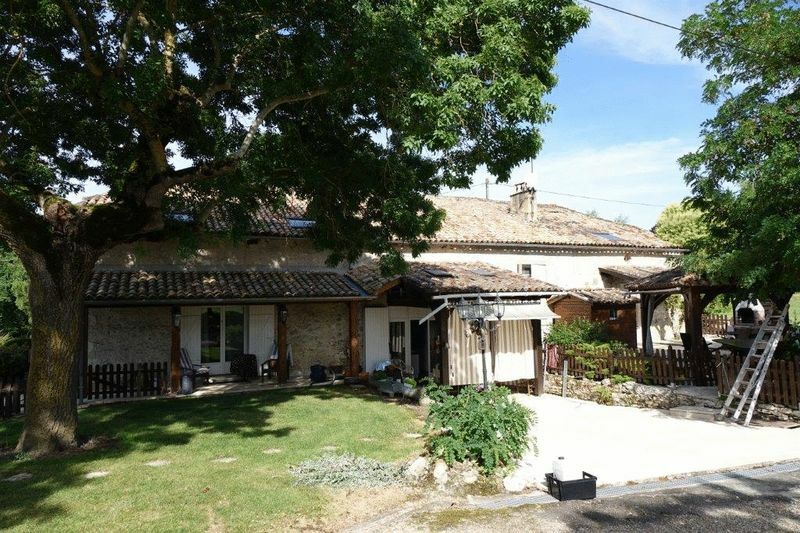 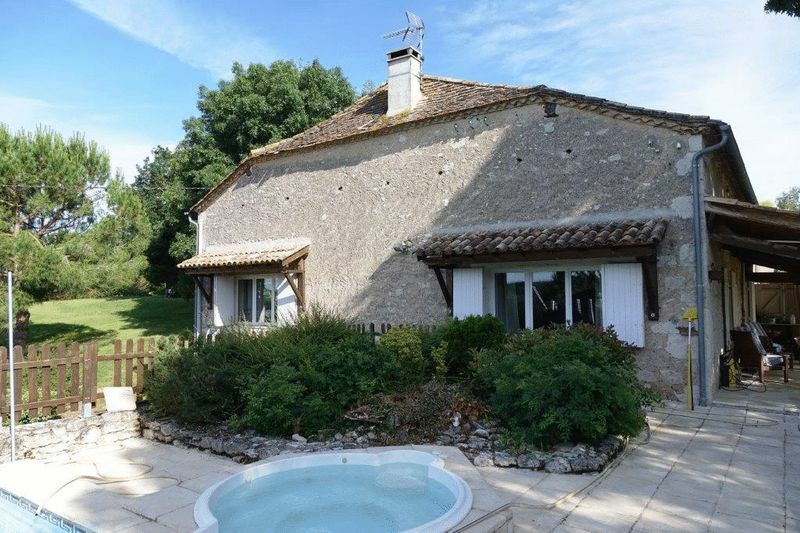 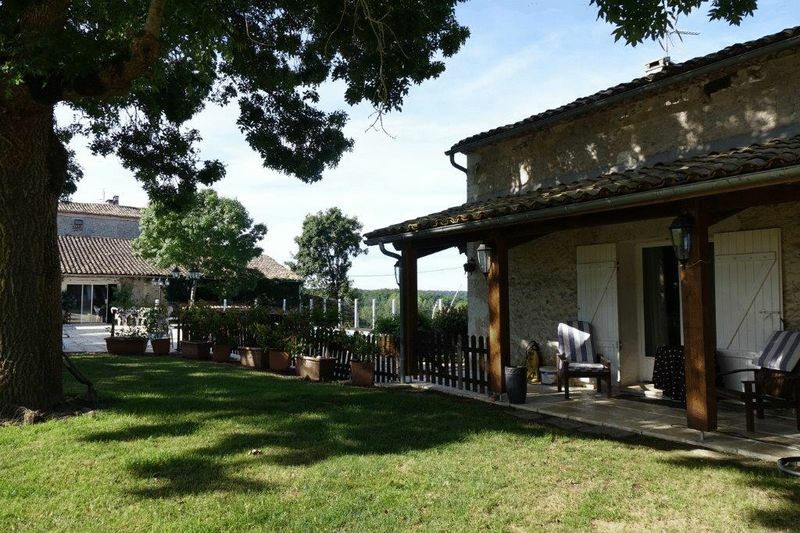 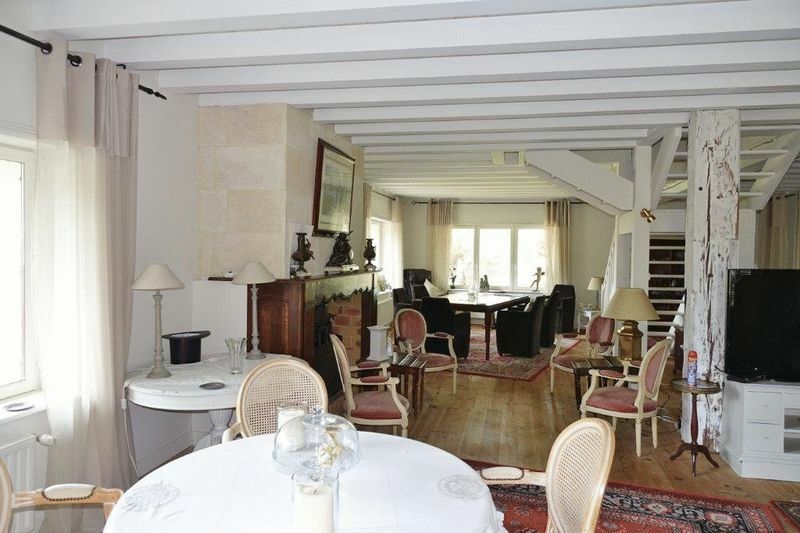 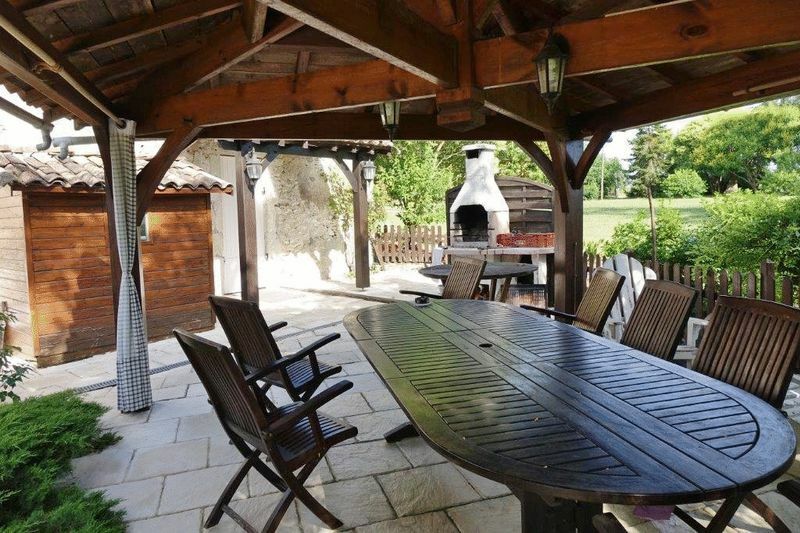 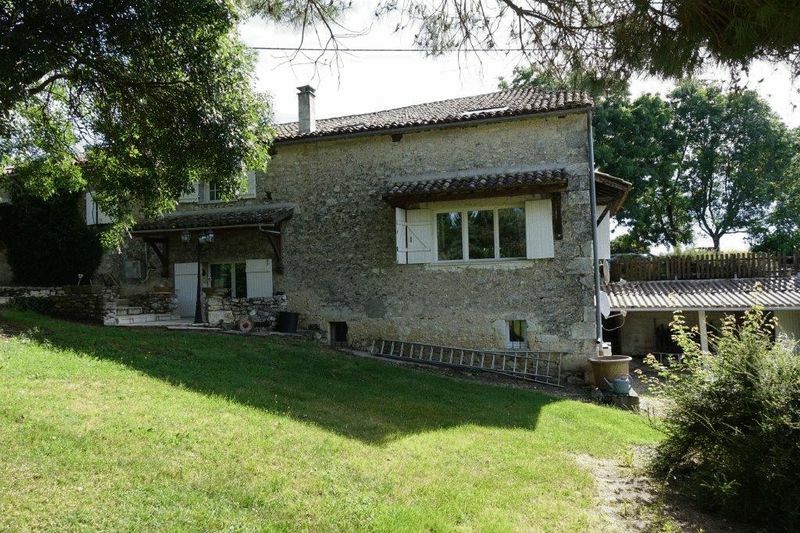 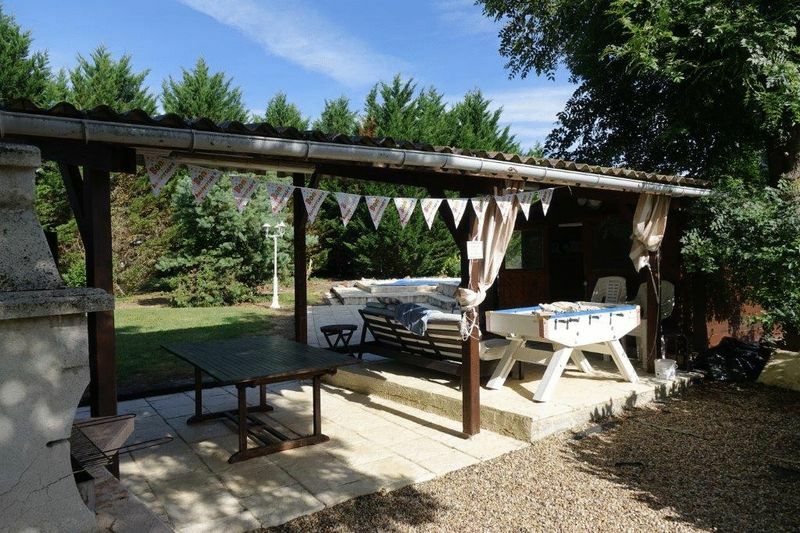 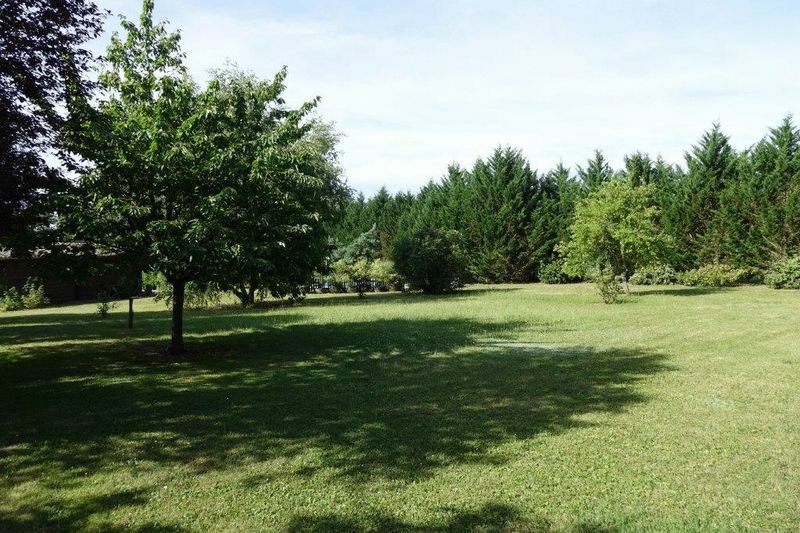 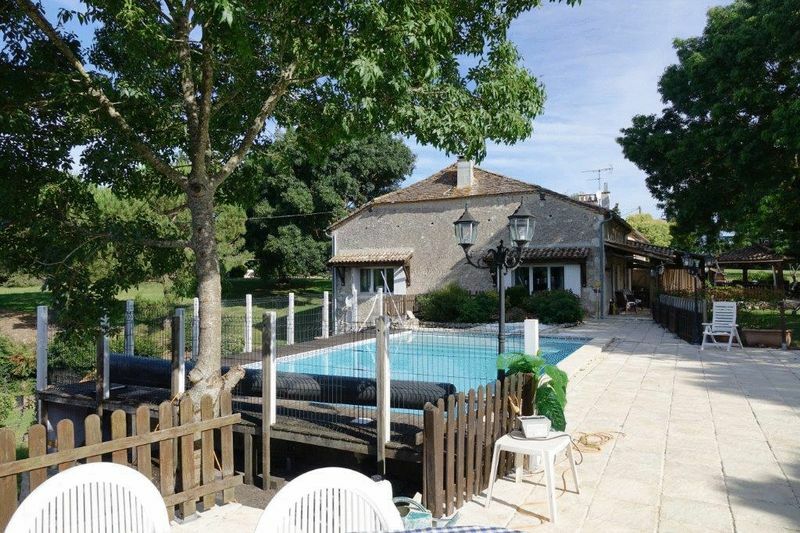 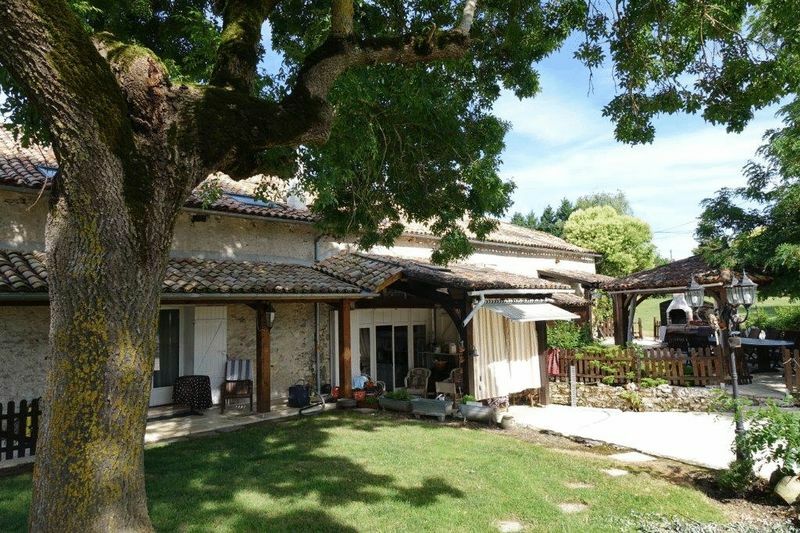 This beautiful and spacious property with its main house and GITE is located in the countryside, surrounded by woods and vineyards, south of Bergerac and not far from the superb Golf course 'Le Vigier'. 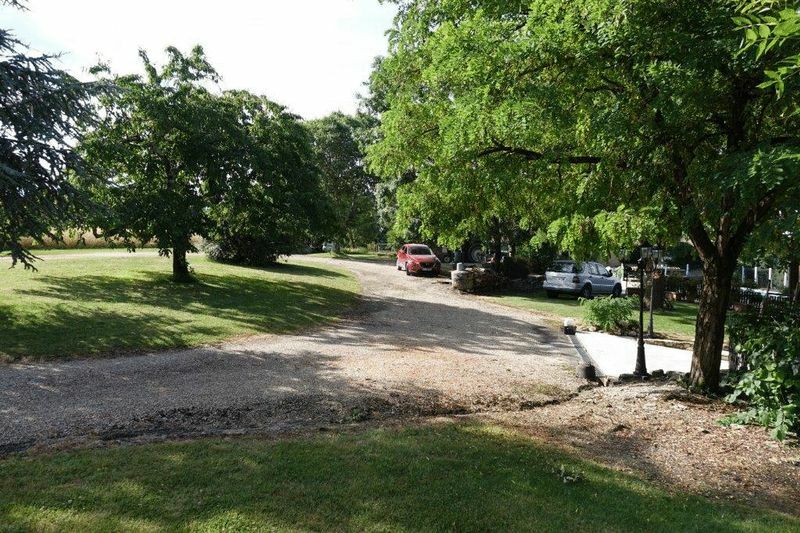 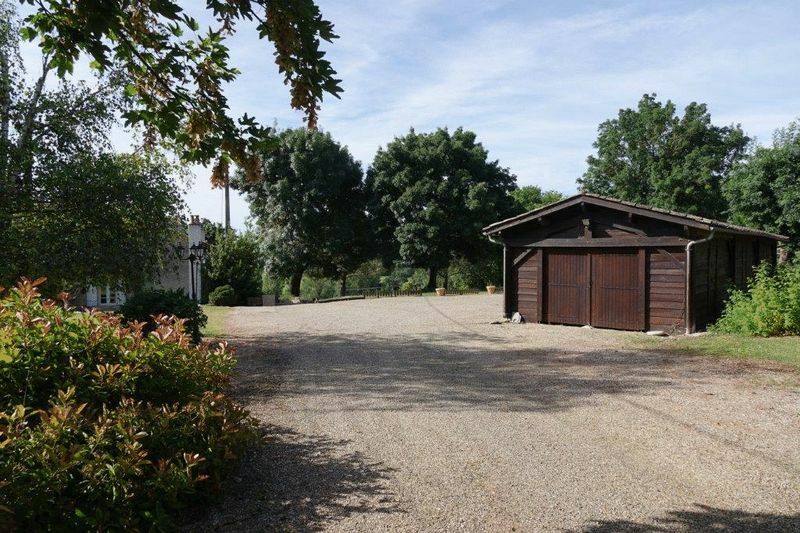 Set in 8732 m² with private gravel drive. 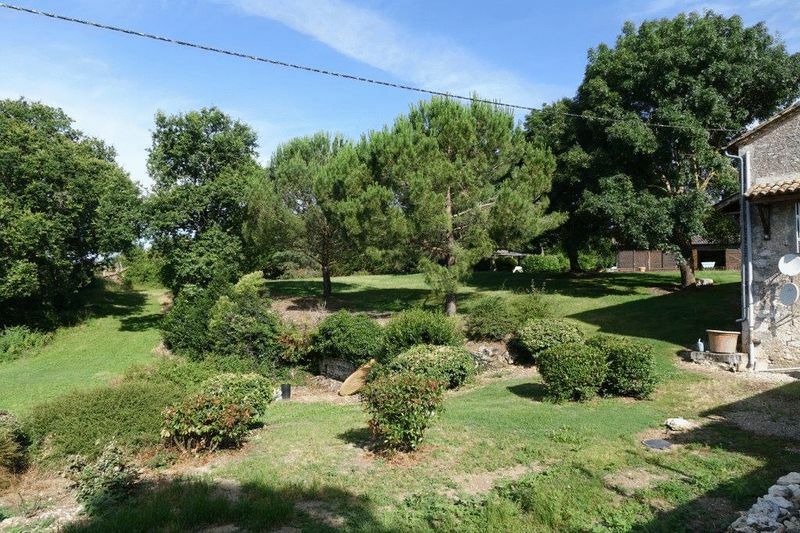 Unobstructed view of the valley and the woodlands.